This easy Macaroni and Cheese uses a couple of clever tricks to make it come together in around 10 minutes. But don't let its simplicity fool you. 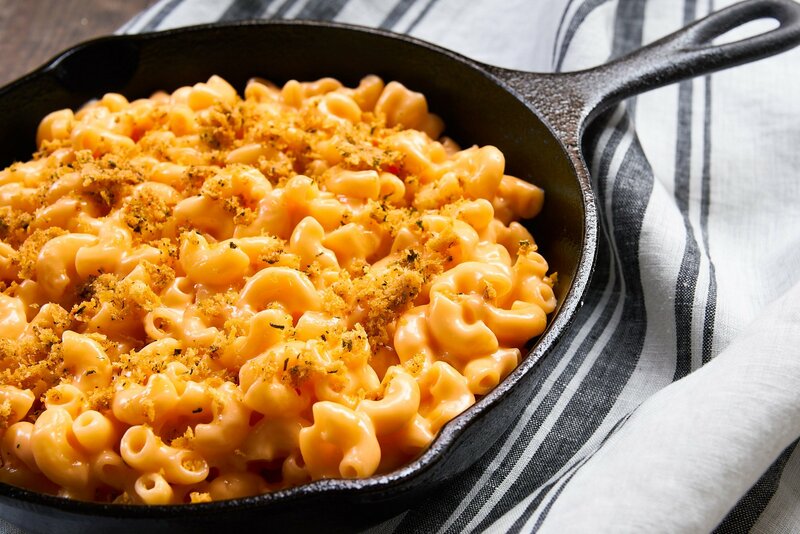 The finished dish has perfectly cooked macaroni in a creamy, velvety sauce that's topped with a crisp layer of cheesy breadcrumbs. For those who grew up making Mac & Cheese out of the blue box, the problem with Macaroni and Cheese from scratch is two-fold. The first is that most recipes are complicated, involving multiple stages and lots of pots and pans. The second problem is that despite all the work, cheese sauce is tough to get right, and can often end up clumpy, gritty, or chewy, bearing little resemblance to the slick elbows of pasta in a velvety smooth sauce that we all love. I’ve done an easy macaroni and cheese in the past, but it still involves a few pans, a colander, and a bowl. After making a Macaroni Salad recently that involved cooking the pasta in just the right amount of milk, I started to wonder if this method would work for mac and cheese as well. The answer is YES, which means you could technically do this in one pot if you made the breadcrumb topping in the pot first (though this will make it take longer than 10 minutes). The process is super simple. Just boil the pasta in milk and water and when it’s just shy of being done, I take the pot off the heat and add cheese that’s been tossed in a bit of starch. The starch not only helps thicken the sauce, but it also keeps the fat in the cheese from separating, which can ruin the texture of the sauce. I’ve used a three cheese blend with Gruyere for its nutty depth, Cheddar for flavor and color, and Fontina for its decadent, velvety texture when melted. If you count the parmesan in the topping, that’s 4 cheeses! If gathering all these cheeses is too much of a hassle, then don’t let that stop you from making this. You can use any blend of cheese that will melt. My one recommendation is that you don’t do this with cheddar alone as it can get overwhelmingly sharp. Once the cheese is in, just cover the pot with a lid and let the cheese gently melt into the sauce from the residual heat while you prepare the topping. I love having a crisp crust on top of my macaroni and cheese, but I don’t like baking the whole thing in the oven. Aside from being an extra step, the prolonged heat causes the proteins in the cheese to seize up, making the sauce clumpy, while overcooking the pasta. 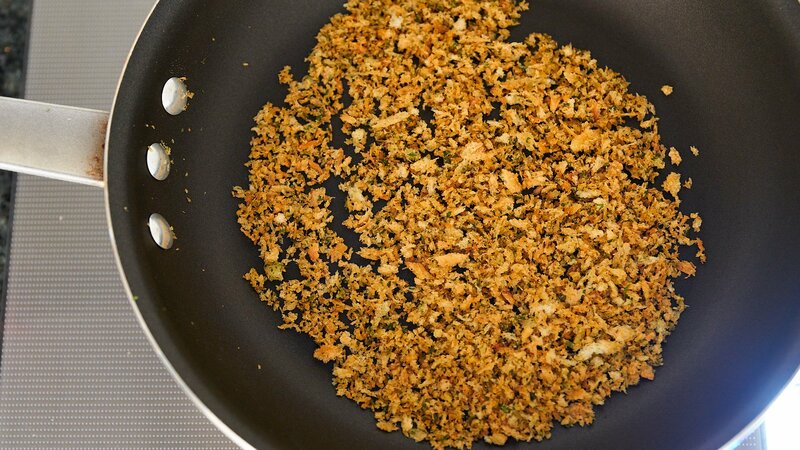 My solution is to toast some breadcrumbs in a frying pan with herbs and a little parmesan. This makes for a tasty topping that’s a nice contrast to the satiny smooth pasta and sauce. 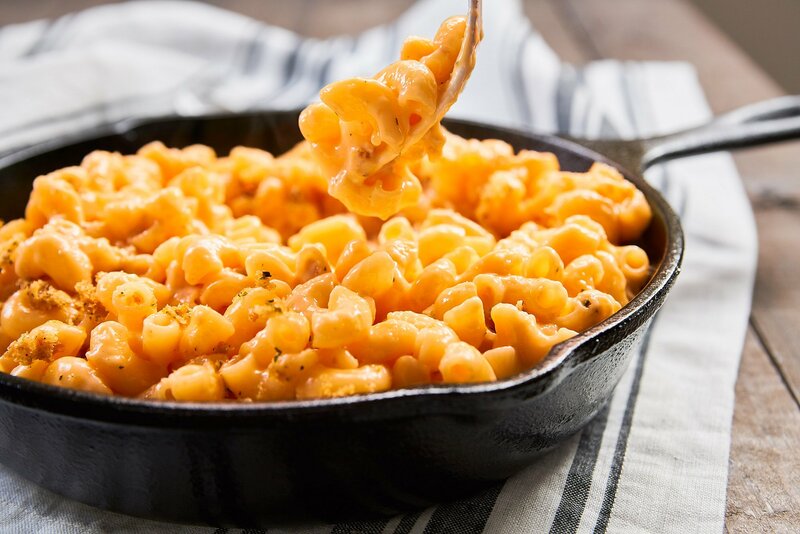 Once the topping is done, the cheese will have melted into an ultra-smooth and creamy sauce that just needs to be stirred, to coax it into a delicious hot gooey mess. 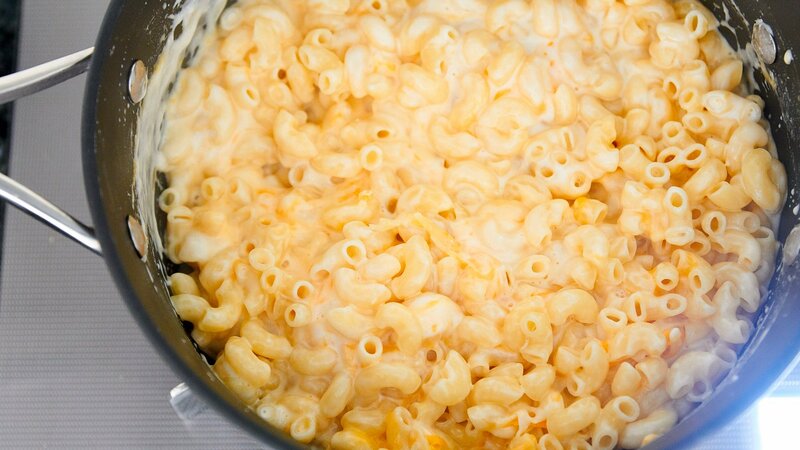 Macaroni and Cheese does not hold or reheat well, so be sure to make this right before you serve it. If for some reason you end up with leftovers, you can repurpose it and make these Fried Mac and Cheese Balls. 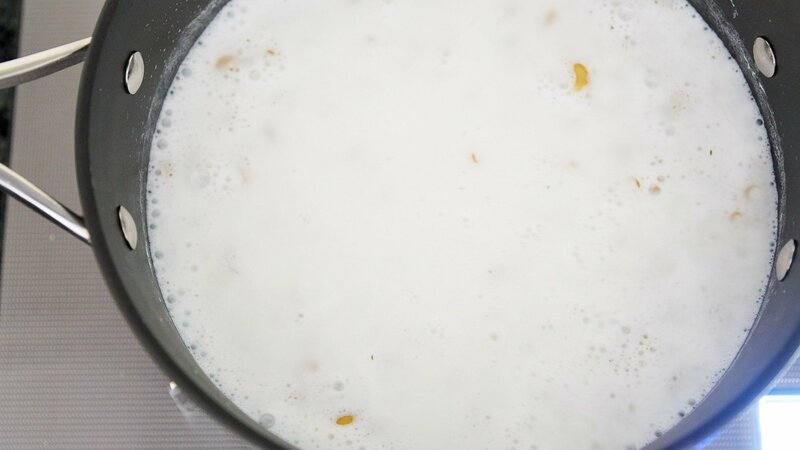 In a medium pot, add the water, milk, and salt and bring to a boil. Add the macaroni and set the timer for 7 minutes. Stir for the first minute to keep the pasta from sticking together. 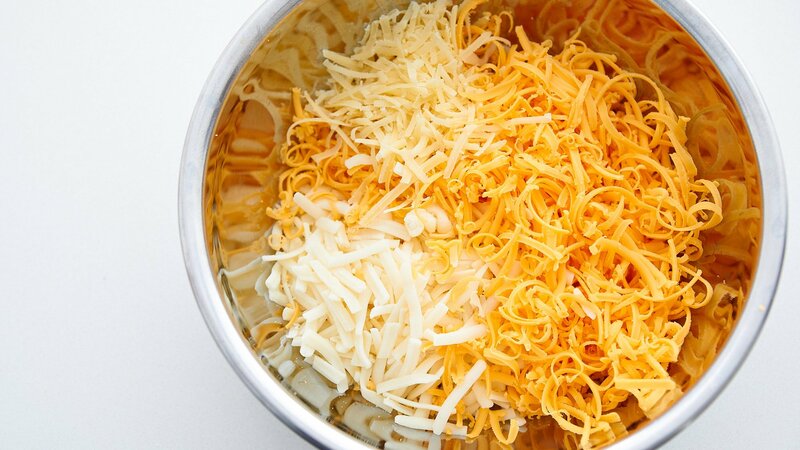 In a bowl, toss the shredded gruyere, cheddar, and fontina together with the potato starch to distribute evenly. When the timer goes off, remove the pot from the heat and add the cheese and mustard to the macaroni. Stir to combine and cover with the lid (the cheese doesn’t have to be fully melted). While the Macaroni and Cheese rests, add the olive oil, panko, and parsley along with a pinch of salt and black pepper to a frying pan and stir together. Put the pan over medium heat and toast the panko until golden brown and crisp stirring constantly, so they brown evenly. Remove the pan from the heat and add the parmesan. 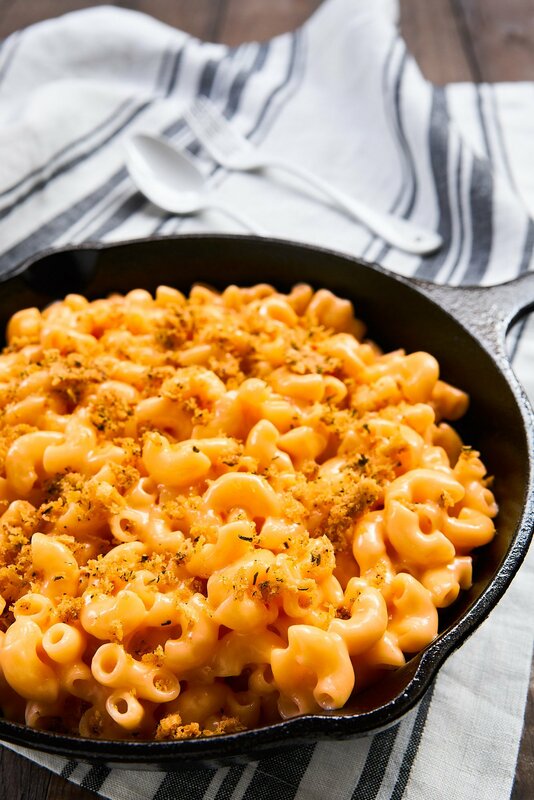 When the breadcrumbs are done, remove the lid from the Mac and Cheese and stir until creamy. Plate and top with the breadcrumb mixture.